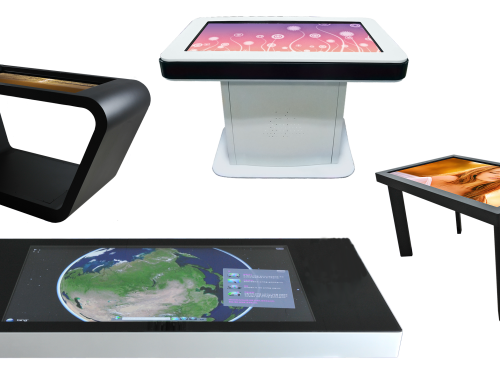 Home|Blog|How can display technology improve your workplace? 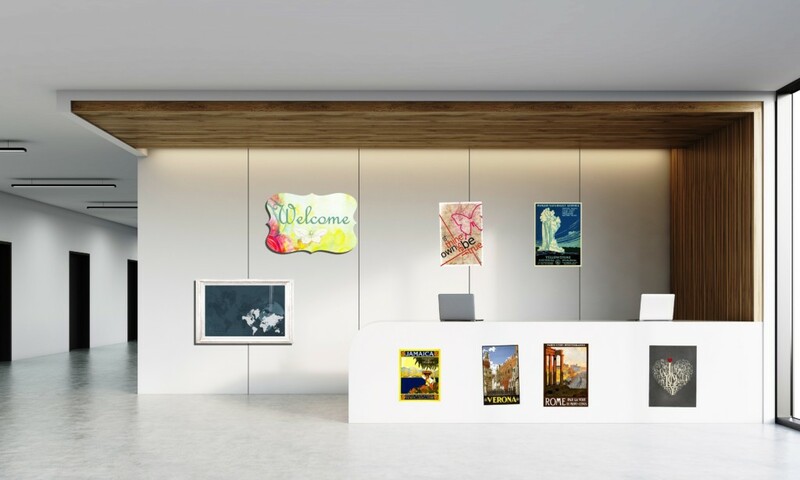 In my last post I explained how display technology in lobby spaces can leave a lasting impression on visitors. But what about your employees? 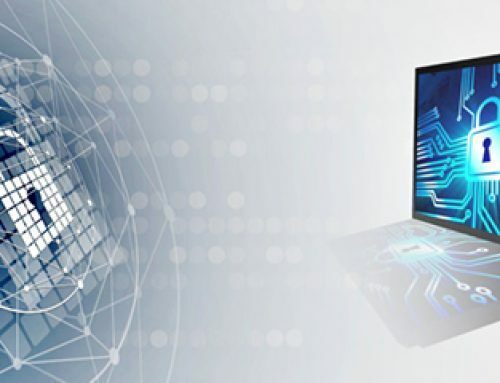 The benefits of display technology in the workplace cannot be overlooked- it can impact the overall mood in the office and increase productivity, it keeps your team well-informed about events, and it can even help save lives in the event of an emergency. Let’s face it- for many, the monotony of walking into an office building every morning evokes a sense of dread. As you look around you will probably see a bulletin that should have been updated 2 weeks ago and a static sign displaying the company name or logo. If however, the first thing you experience is an imaginative video wall installation or even subtle, calming scenes of nature on panoramic displays, I’m willing to bet that sense of dull repetition will fade, if only a bit. And there are countless studies showing that happy workers are more productive. As you walk through the hallways, you may be greeted with framed photographs, directional signs, or maybe stark, bare walls. 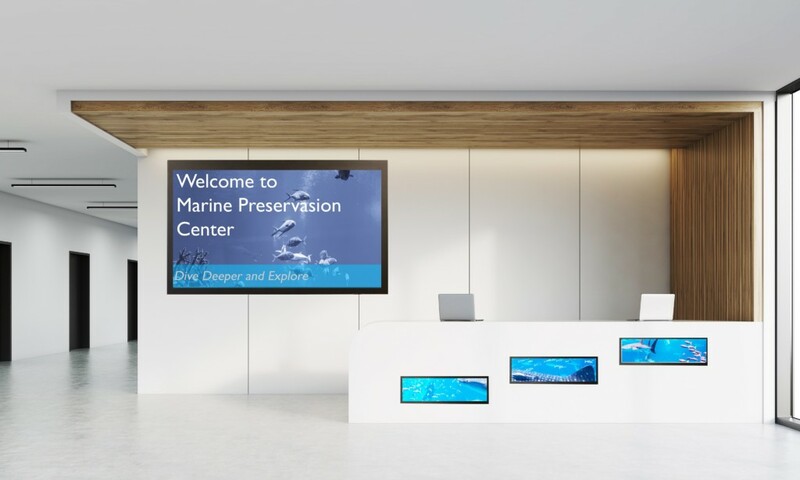 Digital signage can not only improve the ambiance of these spaces but serve an important function: company-wide notifications. 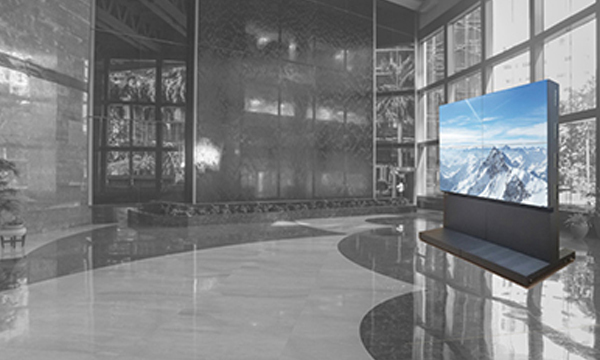 Today’s digital signage can be updated quickly and easily, helping you garner more attention from those you intended to reach. 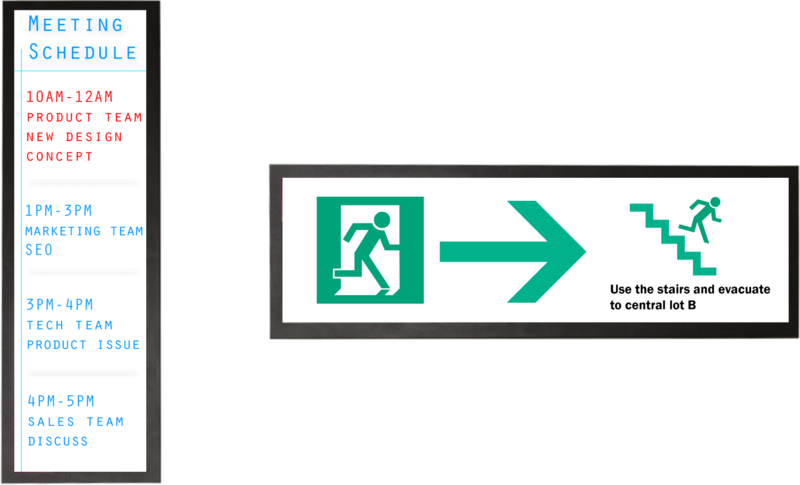 Digital signage can also help save lives in an emergency by informing employees to shelter in place or evacuate by providing clear directions for evacuation. 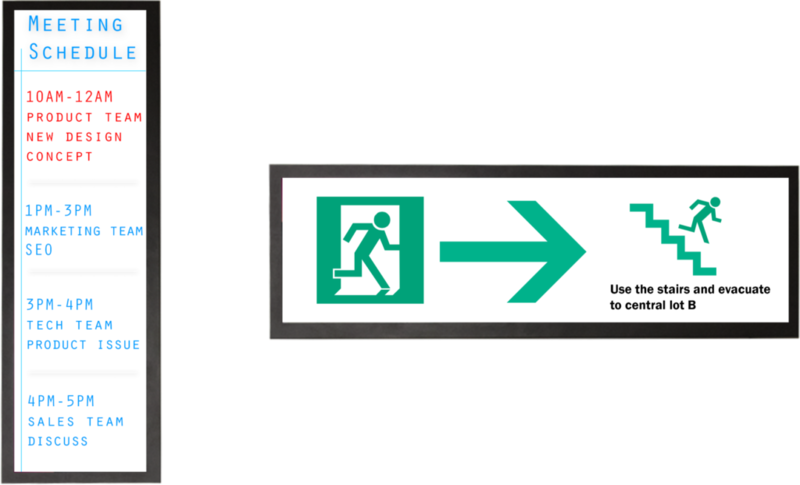 Emergency messaging via digital signage is a vital component to disaster and workplace emergency readiness. 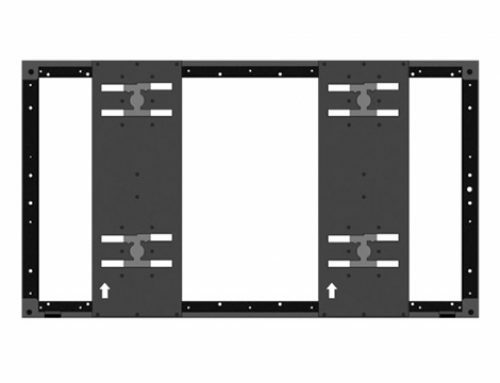 Video walls and large 4K commercial displays have become increasingly used in telepresence applications. Likewise, huddle spaces are now a ubiquitous feature of office spaces. While a standard whiteboard can only show what a dry-erase marker scrawls on it; interactive displays provide greater versatility. 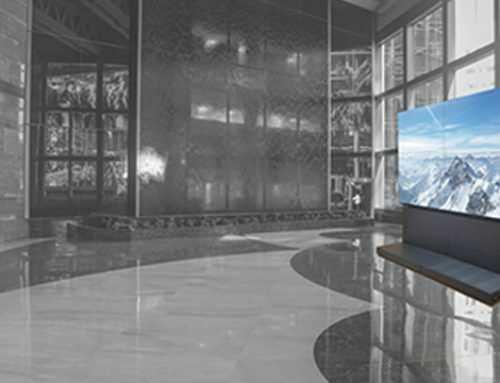 An interactive display in the conference room will mean more opportunities for collaboration, incorporating video, complex blueprints, and multi-slide presentations. 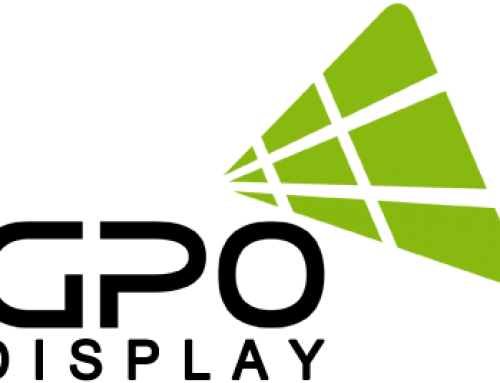 After these assets are discussed, annotated, and transformed, the work can be saved permanently for your team to reference in the future as they work toward their goals. 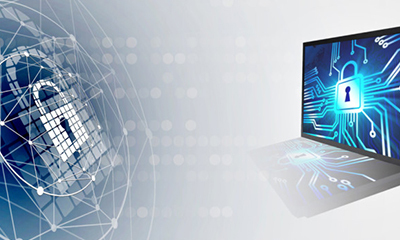 In short, display technology has become essential in the workplace. 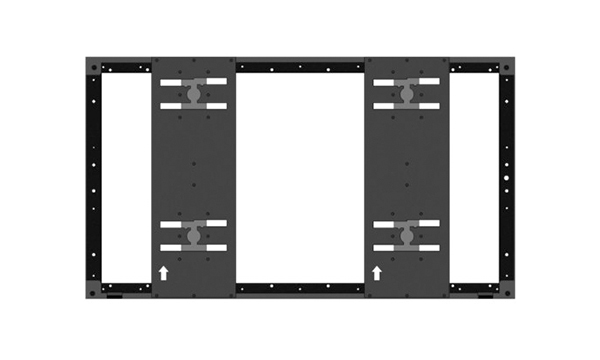 It enhances the atmosphere of workspaces and improves workers’ morale, safety, and productivity. 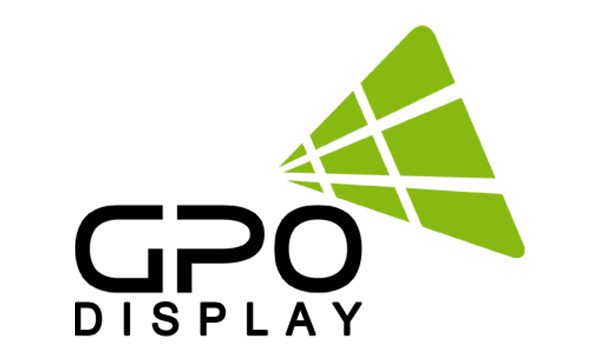 We at GPO Display are here to help you with displays for all areas of your workplace. 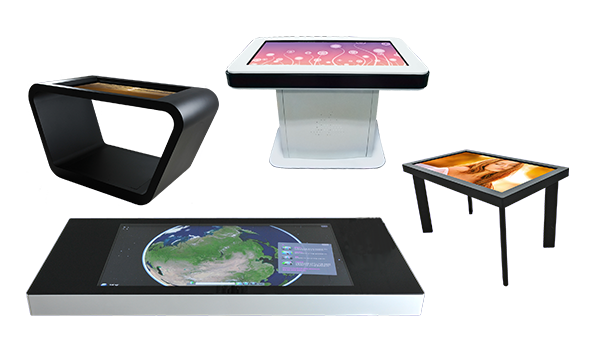 Contact us to get a better idea of which display technologies you can use to improve your unique workplace!